We recently reached out and asked you; the Design Cuts community, exactly what kind of bundle you wanted the most. Over 3000 of you answered and we set to work to bring you our highest quality, most versatile font bundle yet! These 15 world class font families are exceptional, and massively popular at full price. This limited time bundle gives you an exclusive chance to own them at 99% off the regular price! You asked, we listened! $1720 worth of best-selling, world class font families, with web fonts and extended license at 99% off! After 3000 of you offered feedback, we began work to bring you the font bundle you’ve all been asking for. Fantastic variety and versatility, bringing you the best fonts in the world with a range of styles. The quality is outstanding with each of these fonts. They’re created by some of the world’s foremost font foundries, and are meticulously put together. You won’t need to worry about details such as kerning, legibility and base-lines as these fonts look fantastic right out of the box. Not only this, but most of them come with hugely extensive language support, tons of contextual/stylistic alternates, and additional characters. Some of these font families contain up to dozens of fonts as they’re so comprehensive. All of this means more creative options and flexibility for you, the designer. When we asked what kinds of fonts you were interested in, there were four clear front runners: clean, professional fonts; scripted, calligraphic fonts; hand painted, brushed fonts; and vintage, retro fonts. This bundle brings you the very best in each of these categories. There are extensive clean/corporate style font families, which are perfect for your professional work. 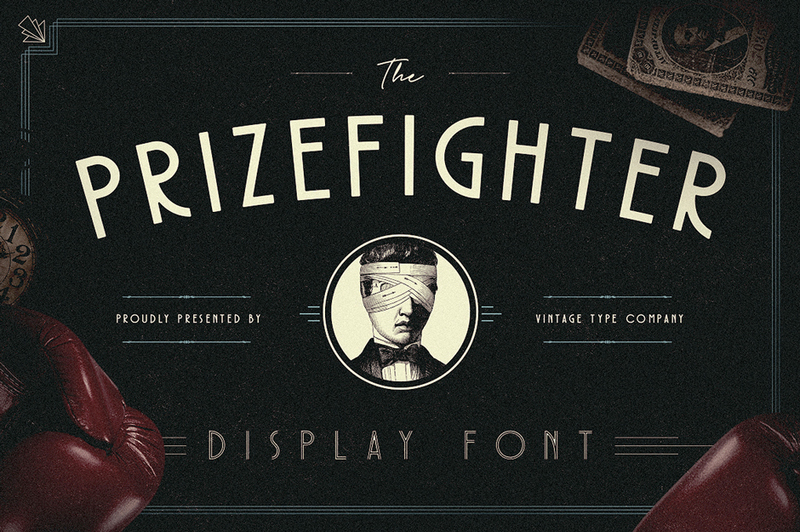 We’ve also sourced some beautiful scripted, brushed and vintage style fonts for your more artistic projects. This fantastic collection should have you covered for virtually any creative project! Of course as well as bringing you true quality, we wanted to bring you ultimate value. This is our best value font bundle ever, at just $1 per font! These incredible font families set you back $1720 at regular price, and this bundle is an exclusive chance to own them for just $15 (nearly half the price of our typical font bundles!). This super focused, value packed deal also includes web fonts, and the best licensing available anywhere at no additional cost to the Design Cuts community. You can see an overview of these 15 font families below. Though we definitely recommend scrolling down this page to see just how much value is included. Please explore the full font families below. 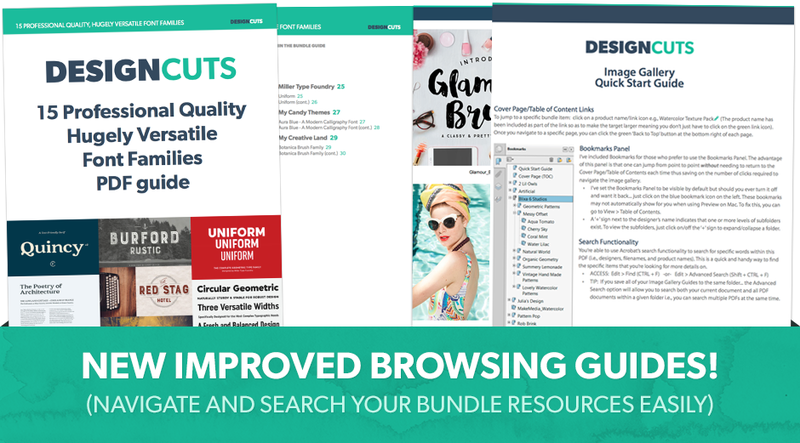 There’s so much value in this bundle, it should have you covered for any project! Uniform is a multi-width, geometric type family designed around the circle. The “O” of the Regular width is based on a circle, the “O” of the Condensed width is based on 1.5 circles stacked (with straight sides) and the “O” of the Extra Condensed width is based on two circles stacked with straight sides as well, and all other characters are derived from this initial concept. This unique idea creates a remarkably fresh type family that bridges the gap between circular geometric typefaces and condensed straight-sided typefaces. Uniform also includes many opentype features like Old Style Figures, Tabular Lining Figures, Alternate characters, Ligatures and more. Uniform was first drawn starting with the Black weight. This careful process allows each character to look consistent and balanced through all weights. As a result, the typeface does not ‘break down’ or lose its form in the boldest weights like many typefaces do. The three widths of Uniform make an ideal type family for a host of various uses. From branding to web design, book covers to signage, Uniform is a very versatile solution to complex typographic needs. Language Support: Afaan Oromo, Afrikaans, Albanian, Alsatian, Aragonese, Arapaho, Arrernte, Asturian, Aymara, Basque, Bislama, Blackfoot, Bosnian, Breton, Catalan, Cebuano, Chamorro, Cheyenne, Cimbrian, Corsican, Croatian, Czech, Dalecarlian, Danish, Dutch, English, Estonian, Faroese, Fijian, Filipino, Finnish, French, Frisian, Friulian, Galician, Gallegan, Genoese, German, Glosa, Guarani, Haitian Creole, Hawaiian, Hiligaynon, Hmong Daw, Hopi, Hungarian, Ibanag, Icelandic, Ilokano, Indonesian, Interlingua, Irish, Irish Gaelic, Istro-Romanian, Italian, Japanese transliteration, Jèrriais, Kapampangan, Kashubian, Kiribati, Koongo, Korean transliteration, Kurdish, Ladin (Gardena), Ladin (Valle di Badia), Languedocien, Latin, Latvian, Lithuanian, Lojban, Lombard, Low Saxon, Lower Sorbian, Luxembourgeois, Macedo-Romanian, Malagasy, Malay (Latinized), Maltese, Manx, Maori, Marshallese, Megleno-Romanian, Míkmaq, Mohawk, Montenegrin (Latinized), Náhuatl, Naxi (Latinized), Norfolk/Pitcairnese, Norwegian, Nyanja, Occitan, Oromo, Pangasinan, Papiamento, Pedi, Piedmontese, Polish, Portuguese, Potawatomi, Quechua, Romanian, Romansch, Rotokas, Rundi, Saint Lucia Creole, Inari Sami, Lule Sami, Samoan, Sardinian, Scots Gaelic, Serbian (Latinized), Seychelles Creole, Shona, Sicilian, Slovak, Slovene, Somali, Sorbian, South Ndebele, Southern Sotho, Spanish, Swahili, Swati, Swedish, Tagalog, Tahitian, Tausug, Tetum, Tok Pisin, Tongan, Tswana, Turkish, Turkmen (Latinized), Tuvalu, Upper Sorbian, Uyghur (Latinized), Veps, Volapük, Votic, Walloon, Walpiri, Welsh, Xhosa, Zhuang, and Zulu. True North Textures is a headline font with alternate capitals. Combine all 18 styles with the script, banners, labels as well as extras, and you get a wonderful distressed vintage design. Glamour Brush is a pretty hand-painted script that comes with lots of alternate letters and a set of extras. • Bonus Extras (Illustrator & EPS files for CS4, CS5, CS6). These vectors include flourishes, ampersands, catchwords, banners, hearts, flowers, diamonds and leaves. Mulberry Script is a lovely handwritten calligraphy script. Mulberry is whimsical and modern with a lot of character. This typeface comes with pretty flourished alternate letters, ligatures, extras, watercolour art and ornaments. This gorgeous font also includes regular and bold weights. • Mulberry Script (Bold and Regular) in TTF and OTF format: This beautiful calligraphy script includes basic and international characters. It also comes with four sets of alternates and ligatures. Mix up the alternate letters and ligatures to give your typography a unique hand-written look. • 81 Bonus Watercolour Art files in Ai, EPS and PNG format: Hand painted watercolour art includes mulberries, wildflowers, stems and leaves. Art has been set up so it looks wonderful on white, colored or black backgrounds. • 165 Extras in Ai and EPS format: Hand-drawn extras includes berries, flowers, flourishes, vines, leaves, numbers, hearts and catchwords. Say hello to the new Magallanes Condensed Family, a contemporary neo-humanist sans serif font designed by Daniel Hernández. Its strokes and terminals are related to the calligraphic strokes from humanist typefaces. It comes with 8 styles, from Ultra Light to Black, each with its true italics. Every weight comes with alternative glyphs for a more dynamic use. Magallanes is the perfect titling font to complement text faces in magazines, logotypes, etc. Antartida Rounded Essential is a sans serif with rounded terminals. Its simple, kind of neutral feeling is functional, clean and minimal. Its rounded terminals make it friendly and warm. It is a family of 4 fonts: 2 weights and their italics. Introducing Aura Blue, the second modern smooth calligraphy typeface by My Candy Themes, available in Regular and Bold version. It includes 349 glyphs, with swashes, alternative characters and a smooth line font, suitable for any design needs. • If you are using Open Type savvy programs such as Adobe Illustrator, InDesign etc, you can choose to only install the 2 main fonts, AuraBlue.otf and AuraBlueBold.otf. • If you are a Photoshop user or using program that doesn’t have glyph panel, you can install all .otf font files. To use the alternative letters: Select the part of the text that you want, and change the font via font combo box. Burford Rustic is the weathered and textured alternative to the Burford Family. It works the same way as Burford as a layer-based font family, but with some style variations and new layering options. It includes 20 font files, starting with four texture variations from Black, Bold, Light to Ultralight. It also includes an Outline and two Inline Weights. Additionally, it offers three weights for Burford Rustic Line (Light, Medium and Bold) for top layering options. There are two extruded fonts and two drop shadow fonts, all either in a solo version or set with Burford Rustic Black. For users that have Opentype savvy programs: each font also comes with a set of stylistic alternatives for letters A, C, E, F, G, H, P, Q, R. There are also two versions of each letter, and by using contextual alternatives, no two letters next to each other will be the same. The Burford Rustic Ornaments uses all basic keyboard characters – around 100 total elements per set. They are designed to go specifically with Burford Rustic and use the same textured edge. The set includes: banners, borders, corners, arrows, line breaks, catchwords, anchors and many more. Botanica Brush is a new brush written font family with inky texture, that was inspired by modern trends in brush lettering. The fonts look good, both together and separately and possibilities are only limited by your imagination. Two types of initial and terminal swashes make this script font a good companion in wedding invitation design. Skipper is a bold and flowing connected script, and is equipped with three alternate characters for every basic letter. Click on Swash, Stylistic or Titling Alternates on any OpenType savvy programs to create custom looking designs. Included in this font is a set of 35 ornaments designed to support the font. Access the ornaments from the Glyph Palette. Exquise FY, an elegant and distinguished 6 fonts family. With its round and elegant shapes, this new didone typeface is developed in six styles, including a “poster” weight. Though inspired by classical thick and thin shapes, Exquise FY’s design is innovative with its sharp drops. Alegance is a beautiful handmade calligraphy typeface, and features 127 alternate characters, 6 ligatures, and 16 ornaments. Software requirements: To enable the OpenType Stylistic alternates, you need a program that supports OpenType features such as Adobe Illustrator CS, Adobe Indesign & CorelDraw X6-X7. Quincy’s warm, flowing letterforms, tall x-height and medium contrast provide a pleasant reading experience for longer passages. Quincy also doubles as a stately display font. Four weights and true italics ensure versatility, with a compliment of Latin and Cyrillic alphabets for good measure. OpenType features include ligatures, old-style figures and fractions. Russian and Ukrainian Cyrillic alphabets are supported, as are several Latin script European languages. Meet Bellwethers… a fancy, doodly, hand-drawn typeface with swashes galore. Perfect to add a little whimsy and carefree elegance to your next project. This font contains 6 separate fonts that include a full-on smorgasbord of swash letterforms. Swashes are easily accessible by simply dropping text into your desired swash font. To use a swash font, type lowercase a-z for the initial (beginning of the word) font swashes and type uppercase A-Z for the terminal (tail of the word) swashes. Fonts come as .otf files. Swashes are only available on lowercase letterforms, but you can always use the glyphs panel to manually add the swashes to your uppercase letters too. Outfitter Script is a super sleek hand-drawn mono line font with an elegant, dynamic and vintage look. There are also some interesting alternate glyphs. This font also includes a full set of capital and lowercase letters, as well as multi-lingual support, currency figures, numerals and punctuation. Sell a finished design where these fonts comprise the entirety or vast majority of the design (i.e. : they’re used in a stand-alone fashion.) They should be used within a wider, original design. 15 quality, hugely versatile fonts, perfect for adding beautiful and professional typography to your design work. Many fonts include bonus/extras packs, containing additional creative resources. 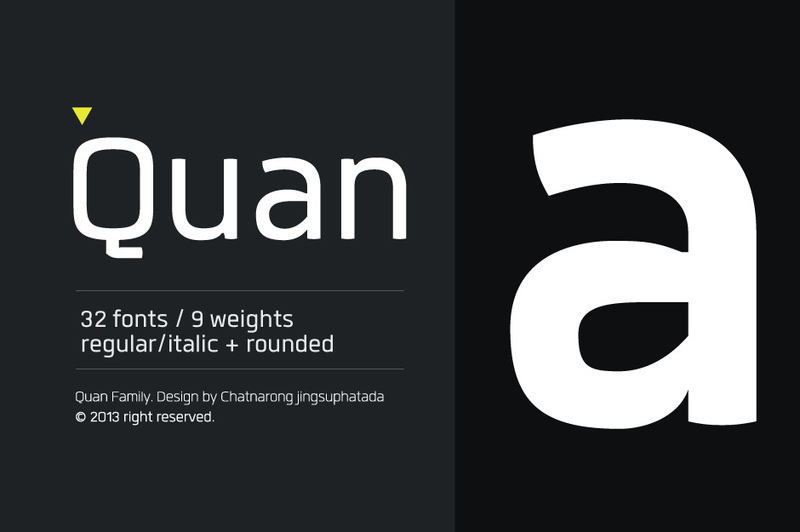 Deal includes 15 quality, hugely versatile fonts. All fonts include web versions. Hello! These fonts are beautiful! I pinned this long ago and didn’t realize they were deals for a limited time? Is there a way to be added to a list in case they come back? I am really interested in a couple of these specifically an would purchase them individually but I know that may not be an option. Thank you! Unfortunately we no longer re- run any of our older bundles since our marketplace opened in Feb 2016 but we do place a lot of our most popular resources from our expired bundles into our marketplace so you may be able to pick up some of the fonts there! You can also save up to 50% on the listed price if you use our exclusive ‘build a bundle’ feature! Oh great! Things you miss not being in the right place at the right time. I didn’t even discover Design Cuts back then! So want Bellwethers, Aura Blue, and Mulberry. 🙁 Please, if possible, could you include them in future bundles? Thanks for getting in touch, I’m really sorry to hear you missed out on this deal. All our bundles are comprised of completely new resources, that have never been part of any other Design Cuts bundles in the past so unfortunately these fonts won’t be featured in a future bundle I’m afraid. I apologise for this inconvenience, Sonia. I can certainly keep you updated should this bundle ever become available again. I’ve added you to the master list for this and I’ll be sure to drop you an email as soon as this bundle is live again. I hope this helps! Please don’t hesitate to contact me should you have any questions. I’m always happy to help. We missed this bundle, so we’re sending a shot that we’d love to see it run again, even at a somewhat higher price. We’re interested in the Uniform and Magallanes typefaces. So we’d go for any bundle that includes them. Thanks for the comment! I am so sorry that you missed this one- unfortunately this bundle has expired so i am unable to set you up with this one. I have popped you over an email about purchasing Uniform and Magallanes which should help! Thanks so much for commenting! I wish i could help you with this one but as it has finished, i’m unable to! However the good news is that i have popped you on the master list and i will definitely be in touch when this one goes live again :). I have the bundle and the price for all those fonts was great. Can you tell us which fonts were missing from the original download? My internet connection isn’t the fastest and I have a teenage daughter (laptop, tablet, phone) so downloading the package again (680Mb) is a chore…especially if the missing fonts are ones that I wouldn’t use anyway. As you know, in a big font bundle there are always fonts that the buyer doesn’t need or doesn’t like, so I don’t want to tie up and slow down my bandwidth for a long time for 3 fonts I might not need. Is there a way you can make the 3 replacement fonts available to buyers by themselves so we don’t have to download the entire bundle again? Thanks for your comment and we are really pleased that you liked this package! This bundle was originally released on June 2nd and we realised it was missing Quincy, Bellwethers and Glamour Brush within a short time of it going live. We updated the bundle immediately and anyone who purchased the early bundles was contacted with the missing fonts. However i can see from your account that you purchased on June 15th so rest assured you definitely purchased the updated version of the fonts Glenn. I can help with your bandwidth issue though and have emailed you with a Dropbox version of the font bundle which should help with the speed issues you are experiencing. I hope this helps, and please don’t hesitate to contact me should you have any other questions. Hey Sandy, thanks for commenting. I’m afraid that this bundle is now expired, but I’m emailing you to try and help. I hate I missed this collection. Is it still possible to get this? Thanks for the comment and for getting in touch! I am afraid that the 15 Professional Quality Fonts are now well and truly finished, so I won’t be able to set you up with this. However, sometimes we do re-run an older deal as a special bonus, in conjunction with a new deal. The best way to ensure that you don’t miss a deal is to join our free newsletter, by signing up at http://www.designcuts.com. I’ve added you to the master list for this bundle though and I’ll be sure to drop you an email as soon as this bundle is live again. I would ask to be added to the group waiting for this deal again. Thanks. Please advise me when this bundle will be available again. It is quite lovely! Thanks so much for your comment! We are so happy to hear that you found this one to be lovely :). I am so sorry that you missed out on this one but i have added you to our master list for it and if it goes live again as a re- run, i will be in touch to let you know! I hope this helps, and please don’t hesitate to contact me should you have any other questions. Hi Carol, may I also ask you to add me to the list for re-run? Thanks! Your wish is my command :). You are most definitely on the re- run list for this one and if it goes live, rest assured, I will be in touch! Could you please let me know if this deal is ever available again? I know several other designers that will be ready to purchase as well. Thank you! Thank you Carol, fingers crossed! Is there any way at all I can still purchase this bundle? Pretty please!!!! Thanks for getting in touch! I’m really sorry but I’m afraid that this bundle is now expired so I won’t be able to set you up with this. I would love to keep you updated on when it becomes available again 🙂 I’ve sent you over an email to help with this. I just discover your website, this is amazing. I’m presently studying graphics arts, and find in myself a BIG BIG love for typography. I don’t know since when this deal is over, but is there by any chance that I can steel have it ? These fonts are SO fantastics !! Thank you so much for your comment! I am really sorry but I’m afraid the 15 Professional Quality, Hugely Versatile Font Families has expired so I won’t be able to set you up with this. I will be sure to keep you updated if we were ever to re-release it 🙂 I’ve sent you over an email that should help! I am really sorry to hear that you missed this bundle, I would love to keep you updated on when it becomes available again 🙂 I’ve sent over a quick email that should help! I am clearly too late for the bundle deal (really keen on the ever glow script font) but would love to be added to your mailing list so I can react quicker in future to great deals like this one. I’m really sorry that you missed this bundle! I would love to keep you updated on if it becomes available again 🙂 I have sent you an email that should help! I would love to have had the chance to buy this! Is there any possibility that it would be available again? Thanks so much for commenting! I am so sorry but this one has now expired! It was a really popular one so i am pretty sure that this one will come round again soon. I have added you to the master list for the deal and if it does go live again, I will pop you an email. I hope this helps, and please don’t hesitate to contact me should you have any other questions. I prefer to think of you being fashionably late for the deal Jennifer (a girl after my own heart!) I have popped you over an email which should hopefully help you out :). Lets get you giddy on a Monday lol! Wow, what an amazing selection! I just found your site and am a huge fan! Is there anyway still to get this deal ? Is there any way I can still get this sweet deal??? I’ve sent you a quick email that should keep you up to date on this deal, Nick 🙂 Hope it helps! this is probably long gone! i always miss the good deals!!! so pretty and what an awesome site to have these!! im coming back for sure! wish i could have snagged that !! Hello!! I always seem to juuust miss these! Is there any chance that I can still get this? Hi there, any chance i can get this deal? Any chance of still getting this deal? Hey Alexandre! Thanks for getting in touch, I’m really sorry you missed out on this bundle. Not to worry! I’ve sent you a quick email that should help you out :). I always miss the best deals, I will love to get this one too, pleaseee let me know if, once again, you can help me get it! thanks!! This deal is amazing! Any chance it will come back soon? Really sad to have missed it. Thanks so much for commenting! We are so pleased that you like the look of this deal- it was definitely a super popular font deal! Hola!!! Quiero comprar este paquete, no sabía que tenía fecha límite para su compra y hasta hoy tuve el dinero. ¿Qué puedo hacer? Por favor!!!! Thanks so much for the comment! I am so sorry that you missed out on this bundle- apologies if our expiry date was unclear on this. Is this deal coming back in the near future? Ahhhhh I just got the link for this deal but its expired! HELP! I need it!!!!! I was having trouble checking out while purchasing this set and now I’ve missed it. Any way to help a girl out? Please? Thanks for the comment! I am so sorry to hear you were having an issue purchasing your font bundle. Can you let me know what kind of error you were experiencing? I have popped you an email though which should help you out with this! There is any way to still get this deal? I was out these days and I have just saw the email with this deal. Thanks for the comment! I am so sorry to hear you missed out on this one but I hope you were away somewhere nice! I have sent you over an email which should help :). Thanks for the comment- oh no it is always the way- when you have the money for something it is sold out. However I couldn’t do that to you Agata so I have sent you an email which should help you out with this :). me too… Is there any way I can still grab this deal? in my email i received today it said the deal expired at midnight, i assumed it meant midnight my time zone, didn’t realize this was a UK company! I set a reminder on my phone to purchase before midnight and now it is expired. Is there any way I can still get the deal? Please please please!!!!! I’m really sorry you missed out on the bundle! That darn time difference always seems to interfere with a well organised plan! Never fear, I have sent you over an email that should help you out :). Thanks for the comment! I am afraid that this one expired on Monday 15th so apologies that you missed out on this one! However I couldn’t have you missing out so i have popped you an email to try and help you out :). Hi! Is there anyway that I can still get this deal??? I was waiting on a reply from someone to see if they liked the font I was thinking and they just got back to me. Please please please! Are you bringing this back? I just clicked to buy and the deal is expired. Thanks so much for commenting! I am afraid this deal expired on Monday 14 June but I might be able to help you out… i have popped you an email which should help :). Can’t believe it, but I missed this incredible pack while on holidays! Noooo!… Beautiful fonts, just like I wished for in your survey! Will these be available again? Ever? Thanks so much for commenting! Oh no, I am so sorry you missed out on this one but i hope you got away somewhere nice for your holidays? Is there any way I can still grab this deal? Thanks for commenting on this- I have popped you an email to help you out with this :). Where’d this deal go? Would really like to get this great font package. Thanks for the comment on this one! I am afraid that this is one of our much older font deals and hasnt been available for quite a while (it expired in June 2015) so I wont be able to get you set up with this one! I would also recommend signing up to our newsletter so you dont miss out on any of our future font deals :). I hope this helps Elan, and please do let me know if you have any other questions! What a wonderful collection, thank you so much for putting together such an excellent package at such an affordable price! Thank you so much for your awesome comment! We are so pleased that you enjoyed the fonts in this one and the price :). Please do let me know if you create something using your new fonts- we would love to see what you are working on! I even had some of these fonts from previous purchased bundles already, but the price was so worth it for the ones that I didn’t have yet, mainly, the clean professional fonts which will definitely come in use! Still happy! Thanks so much for your comment! We are so pleased that you enjoyed this one and the Professional & Artistic Fonts that were running alongside it :). Both of these bundles had a really nice mix of artistic and professional fonts so Tom was hoping he had gotten a bit of something for everyone so we really appreciate your feedback! IF there are any fonts on your wish list Stephanie, please do let me know what they are and we can try and get them sourced for you for a future bundle! I would love to see anything you create using your resources Stephanie so please feel free to share your work with us! Thanks for the comment and the lovely feedback on the deal! We are so pleased to hear that you like it :). Licensing and fonts is always a tricky area but i can definitely help you out here- I have sent you over an email which should help you out! This is a great selection of current fonts at $15!!! Thanks so much for the awesome comment- we are so happy that you are enjoying your bundle and that they will be of use for your work :). Please do feel free to share anything you create with us as we would love to see what you are working on! Ok so I guess none of my installed fonts will work in Lower case! :/ not sure what I did wrong?? Thanks so much for the comment. I am so sorry to hear you are having an issue working with your fonts but rest assured we will get this figured out for you! I have popped you over an email Noelle to get some more info about the issue you are having. I can’t seem to get my fonts in lower case! What am I doing wrong on photoshop?? It’s Creative cloud! I have tried lots of options none of which work! It’s the Aura Blue font??? Very beautiful fonts and great deal, thank you! Thanks so much for the lovely comment!We are so happy that you are enjoying your fonts! This deal has been super popular and we are so pleased about the awesome feedback it has been receiving including yours :). Please do feel free to send over anything you create using your new fonts- we would love to see your work! I’m unable to check out because it says that I entered an invalid postcode/zip even though there is no form field for a zip code (I just have a country field where I selected United States, and that’s it). Help?? I found out what the problem was – I think when the new site came out, my zip code got deleted from my billing details . So I updated it and was able to buy. Thanks for the comment- I am so sorry to hear you were having an issue purchasing your bundle. We are looking into why this is happening. I can see from your account page though that you were able to purchase the bundle which is awesome but my sincere apologies for any inconvenience this caused you Christine. I hope you love working with your new fonts though :). If you have any queries, please let me know. I am always happy to help! Jaimee sent me. I love her! I too would be interested in a font organizer thingy, for windows 7 & 8. Any suggestions would be welcome. I also would like to know if there is a program that lets us use the extra characters, without shelling out the cash for big programs?? Something where we can copy & Paste? I just bought this bundle and the re-release of the other one, so fonts are officially in the clothing section of my budget. Having read the comments, I see you sometimes rerun bundles. do you have any plans to release the vector bundle I saw? PLEASE? Thanks so much for your comment- I am so sorry that this has taken me so long to come back to you! We love Jaimee too and are so glad she introduced you to us! I have popped you over an email to help about organising all your lovely new fonts and also to explain about the swashes! If you can let me know that this is the right bundle, i would really appreciate it :). I hope this helps, and please don’t hesitate to contact me should you have any other questions. Thanks for the comment and thanks so much in advance for your purchase :).I hope you absolutely love your bundle! We have had a few requests for Sant Elia so rest assured this is on our radar! Fingers crossed we will be able to feature it on a bundle in the new future! Thanks for commenting- i just wanted to make sure you were all set up with the fonts now? If you do have any issues, please do let me know! Love the fonts! Especially the calligraphy! I’m going to make wedding invitations for my friend, but I’m using Publisher, not any design programs that were mentioned. Will these fonts still work well? Thanks so much for the comment and we are so happy to hear that you are loving the fonts! The great thing about fonts is that they pretty much work with any software so you should be totally fine with Publisher :). However some of the bonus features on the fonts do require AI or PS in order to be able to access them. I would love to hear more about your planned designs for the wedding invites (i love anything to do with weddings lo!) I hope this helps, and please don’t hesitate to contact me should you have any other questions. What I am so impressed by is that normally, all of the fonts in your deals are amazing, clean, professional, and high-quality. However, in the past, the shear quantity of fonts meant that certain fonts seemed to have more in the way of alternate versions, ornaments, bonuses, etc., whereas some fonts would just have the font files. Not the case with this bundle, which I am honestly incredibly happy with. Each font has everything I could possibly want, and they are all top-notch… And for $15? I genuinely believe you guys are wizards, and I appreciate you putting together such a great package. Thank you so much for your lovely comments! We’re so pleased that you’re enjoying your new bundle :). Carol and I have actually noticed a few odd things around Tom’s desk … the wand … the cloak … the pointy hat … we think you may be on to something with that wizard thing. Thanks again Ian, we’d love to know how you get on with your bundles, any feedback would be greatly appreciated! Great bundle! 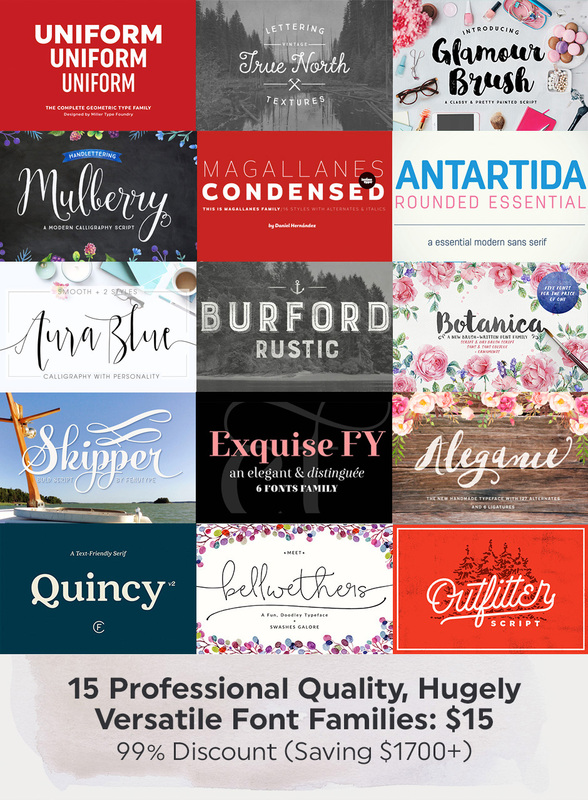 Can’t say no to all these great fonts for just $15. I mainly bought the bundle for the True North Textures font, but I cant say no to the others for such a cheap price! Thanks for your awesome comment Josh! We’re big fans of the True North Texture font, it has a really cool vintage style to it. Hope you enjoy using your bundle! Please ignore my previous email and message. My mistake. I did not look at the individual files to realise that some fonts belong to the same designer. Really sorry! Thanks for the comment- I love this :). Mainly because I can envision the team dressing up as Star Trek and spreading the DC word across the galaxies lol! Please do feel free to send us over anything you create using your new fonts- we would love to see what you are working on! Hi, I sent an email yesterday after purchasing the font bundle. 2 files are missing from my download – Mulberry and Glamour brush. I only had the option to download the entire updated bundle and not individual files so I’m unsure of what the issue may be. Please will you help as those are two of my most favored fonts in the bundle. I’m also new to the design world and absolutely love your offers and communication. The versatility and creativity is great. Keep up the hard work! Thanks so much for the comment and for your awesome feedback! We are so happy that you are enjoying our bundles and communication to the community :). I have emailed you about your fonts and rest assured Hayley we will get you sorted! Our sincere apologies for this! I really like this bundle. A great mix between artsy fonts and white-collar fonts. If you know what I mean? I’ll be able to use these for what I get paid for, and what I do for fun. Great mix. Thanks for your awesome comments Daniel, we really appreciate it! I agree, there’s a great variety of amazing fonts in this pack I’m really pleased it will help you for your work AND personal projects 🙂 Thanks again Daniel! This bundle is brilliant. You guys have become my one stop shop for design resources. Every single bundle I’ve seen has been overwhelmingly irresistable. Also a bit of belated love for the last bundle, I’m a MASSIVE fan of RetroSupply’s stuff so I was happy to see him featured in the bundle. Here’s hoping you add his Vector Fuzz effect into one of your upcoming bundles! Thanks Chris, that’s such a huge compliment. We’ll do all we can to benefit your design work, and I so appreciate the kind words. We love Dustin and Retro Supply’s work, and he’s become a good friend of Design Cuts. We’ll see what we can do on the Vector Fuzz front :). Thanks for the great suggestion! oh man… seconding the Vector Fuzz request, that would be amazing. I like almost all your deals, but keep the fonts coming, I just LOVE the font packs you provide us, they are simply the BEST. Thanks again for an awesome deal, keep the amazing work and have a great week. Haha, that’s such an amazing comment, thank you Manuel! 🙂 I’m so glad that this deal grabbed you, and I hope that you have a blast working with your new fonts. 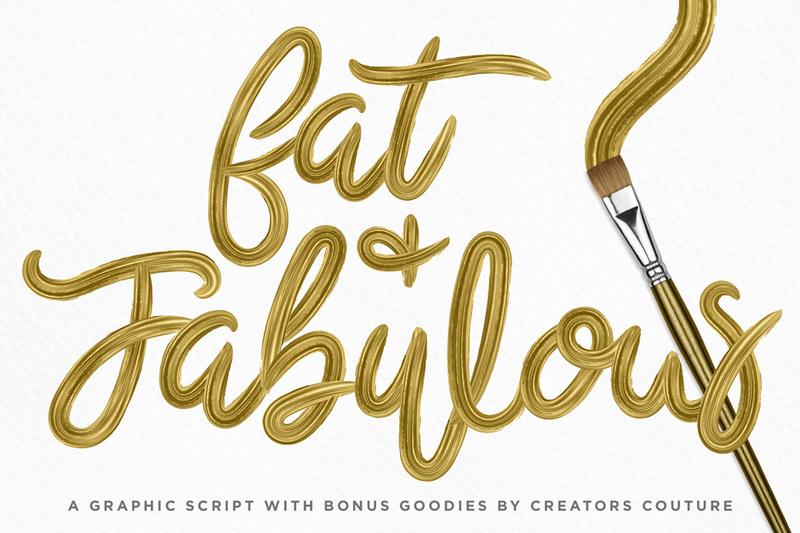 We have plenty more awesome font bundles lined up, and I hope that you’ll love them. Have a brilliant weekend :). I’m sure that I will love them, I’m already using UNIFORM and MAGALLANES in a little infographic i’m doing. As soon as I got’em I had the urge to use them. 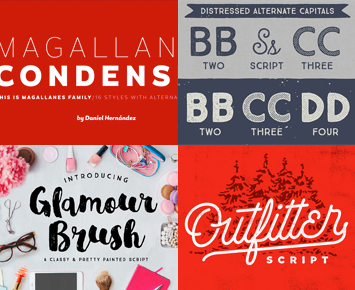 I LOVE fonts and I LOVE DesignCuts for allowing me to have plenty of them for amazing prices. And thanks for your answer Tom, you too have a brilliant weekend. Ohhhh, Magallanes condensed! 😀 Instant-buy! And I really love Mulberry, Botanica and Skipper, too! I love Magallanes Condensed too! It’s become one of my new favourite clean fonts, so I’m so glad you’re enjoying it too Dominique. 😀 Haha, I’m sorry that Skipper brings you back to boring school days, but it definitely does have a charm too it, and I’m glad you’re sounding so inspired by your new font goodies. Have fun with them, and I can’t wait to see what you create :). A BIG thank you DC for putting these amazing collections together! I’m sure it’s no easy feat choosing from the vast sea of options . . . and then getting all those designers on board. I’m a font-aholic, and am now an EOTA (Every Other Tuesday Addict). You’re so welcome Anne! 🙂 It certainly does take a lot of work, but we’re lucky to have some very talented designer friends of the site, who produce these amazing goodies and enjoy working with us :). I LOVE the ‘EOTA’ acronym haha, we might have to start using that around the office! Thank you from the whole team here for your support, you’re awesome! Love. Fonts. Love. This Deal. Love. DesignCuts. You’re more than welcome, and I hope that you have the best time playing with your new fonts. If I can personally help with anything, please just say the word, you know we’re always here for you. Ha i love this comment :). We are so pleased that you found the bundle so irresistible! It’s like you read my mind (or questionnaire). Mind reading or not, you can’t beat awesome fonts with multiple weights and web-versions! Can’t wait to get all these fonts organized into my DC powered font collection! Enjoy the weekend once it arrives. We are so pleased to hear that some of your requests have made it to this bundle and please do let us know if you have any others you would like to see :). Have an awesome weekend too Thomas and happy designing! Thanks so much for commenting and you are as always very welcome! We are blown away by your comment and truly honoured to be your one stop shop for fonts :). We are glad to hear that Uniform, Antartida and Magallanes are highlights for you! Unfortunately not every font will suit everyones tastes but we are super pleased that we hit some highlight for you! Please do let us know if there are any other fonts you would love to see featured in a future bundle! I was browsing along, being all like, “What a lovely bundle, but I will control myself this time.” Then I saw the whole $15 part, and was like “LOLz, just kidding.” You guys are the best! You guys have really upped your game on these most recent bundles! Wow! I am so impressed! Thanks for another awesome comment! We are so happy that you are liking the price of this one! You guys had me at $15! Typefaces to me are like Pokemon to little kids, I gotta catch them all! Cant wait to create with these typefaces. THANKS DC! I love the Pokemon reference- we have a few Pokemon fans in the office :). And we are super happy that you gotta catch em all! Thanks so much for your support Derek and please do share anything you create as we would love to see what you’re working on! You are more than welcome! We are just so pleased that you love your bundle so much :). Please do feel free to share anything that you create with your bundle with us- we would love to see your work! Amazing deal. Can’t believe all the webfonts that come with everything as well. Extremely satisfied. Thanks for the amazing comment! We are so happy to hear that you are satisfied with this bundle! Tom tried to put in some fonts that would suit everyones tastes so he will be very pleased to hear that you’re happy with it! Please do feel free to share anything you create with your fonts Bret, we would love to see what you are working on! If possible it would be great to get desktop and webfonts all together in separate folders. That way i wouldn’t have to go in each one and be sure to add only the desktop ones. Thanks for the comments and feedback on the bundle. I am so sorry if the file layout is a bit awkward for you in this bundle but we appreciate you bringing this to our attention! We take all feedback onboard and will definitely look into this to make things easier for future fonts! also these fonts are great and I’m very happy with this bundle and you guys are the best! Thanks so much Chloe, amazing feedback and ideas here. We’re having some fun and productive strategy meetings at DC currently to see how we can serve you guys better, and I’ve made a note of these bundle organisation tips. I’ll see what can be done to help you :). Congratulations on the first deal that I didn’t even hesitate to buy. Irresistible selection and jaw-dropping price—how could I pass it up? Though “Outfitter” is not my favorite style, I know there will be an eventual use for it in my designing. They are strong words of praise there and we truly appreciate them! A no hesitation buy- we are high fiving on that comment over here :). Sending you back a massive THANK YOU (capitalised to show we mean it!) for your support from the entire DC team! I keep telling myself to cut down on buying your deals but you guys keep shelling out some awesome, awesome stuff. I just can’t help myself. If you keep on doing this I’m going to go broke, yet very happy. Money well spent. Thanks for such an awesome comment- we are just so pleased that you love the bundles! Tom has the knack of combining the resources to make them irresistible :). As long as you are happy, we are more than happy! I only bought it because of Uniform. That typeface is very useful due to the widths and could be my next workhorse typeface! How awesome is Uniform? I can totally see why this could be your new workhorse- it is so versatile :). We would love to see what you create using it Hadrian so please do feel free to share any of your designs with us! (the lack of date/time on comments is obvious, in this case of bugg for example). 22 files are “not valid font files”, say Windows and Nexusfont. Mangallanes and Antartida are concerned, mostly webfont.ttf for 98%. Are other Cutters in too? Can I have a link for re-download this 2, maybe? Thanks for the comment! I am so sorry for the issue you have had with installing Antartida, but thank you so much for bringing this to our attention. We have investigated this and rectified the issue and Tina has updated the download links on our deal page. I have also sent you an email which should help you out as well :). I hope this helps, and please don’t hesitate to contact me should you have any other questions. I’ve answered your email with screenshots. This sound like corrupted files. I’ve already 2 times downloaded the bundle and find the exact same problem each time. Windows say “is not a valid font size” for 22 files of the entire bundle. I mentioned my problem with fonts not supporting polish language many times and now I see that most of them are good! thank you so much! Thanks so much for your lovely feedback! We are so pleased that you are happy with the language selection on this bundle! we are constantly trying to ensure that we have more language choices available with our fonts so we are super pleased that we have made you happy with this bundle :). If you have any other suggestions, please always send them over as we take all feedback onboard and try and implement it where we can! This may be more of a question for one of your video shows but, I am wondering if you have any suggestions for some sort of font management system. I really need to get a handle on loading and removing fonts as I am working now with a ridiculously large list of uploaded fonts. I seem to remember a few previous posts here that mentioned some problems encountered when trying to download some of your font files when using certain font managers, so I’d like to get some system that will work well on a Mac with the minimum of glitches. I use Suitcase Fusion but it is far from perfect. The one i really liked was Fontcase but it was discontinued. Thanks for the question- I will pass it over to Edita to hopefully feature in one of our Q & A’s as its such an awesome query! I have sent you over an email with a few suggestions and we also recommend Suitcase Fusion but as Chris pointed out it isnt perfect but it should help you somewhat if combined with my other suggestions :). Thank you Carol, I am checking out your e-mail now and I appreciate you taking the time to send some specific suggestions. No worries Joanne. If Carol or I can help any further, please do let me know :). Thanks for getting in touch! I can of course help you out too and have sent you over an email with some organisational help :). Please do let me know how you get on with it! Thank you so much for this greater offer Tom! This is an affordable and most precocious deal for the graphic designers. Thanks so much for the awesome feedback! Tom will be super pleased to hear that you are enjoying this bundle- he was very excited to launch this one! We are always so happy to hear that our community will be able to utilise their new resources for their work – both personal and client projects :). It makes our day over here! I’ll keep buying your font bundles if you keep the price like this one- 15 fonts for $15! Love it, love it, love it! I can’t wait to start playing with them. Thanks so much! We are so pleased you enjoyed the pricing on this one- we shall definitely try and get some similar deals in the future :). You are so very welcome for the bundle and we love, love, love that you are enjoying this bundle and we would love to see what you create once you start playing with them! Quincy also Cyrillic, but all others so beautifull handmade fonts are not. Thanks so much for the comment. I am so sorry to hear that the fonts don’t have the language support you require. It is definitely not our intention to commit such fonticide! We try and source fonts that have a very thorough language support and we will continually push for more support from our designers for our future fonts. I hope this helps, and please don’t hesitate to contact me should you have any other questions. Thanks for the comment :). We are so very happy to supply you with this gift of a bundle! How fab is Uniform? It is so versatile! I would love to see what you create with it! Like many Design Cuts fans I hold off buying these deals right away – why? Because I’m an idiot! This is a great deal, but then again, so was the last one…and the one before it. Resistance is futile. Damn you Design Cuts! Thanks boys and girls. Wow- that is stellar feedback on this deal and our previous ones! You are very welcome and most certainly not an idiot Tom- maybe just saving the deal for a treat?! We are just so thankful for your continued support :). Please do feel free to send over anything you create with your fonts as we would love to see what your working on! Hey Design Cutters. Just an update from the team – we managed to update and fix the bundle link last night, and today are personally reaching out to all early buyers to let them know about this fix. We’re so sorry for any inconvenience, and thank you all for your patience and understanding. I honestly bought this before I even looked at all of the fonts. I was sold in the first paragraph. We definitely have more fabulous font bundles lined up, and I hope that you LOVE working with your new fonts from this deal. I can’t wait to check out some of your designs using them. Have a fantastic weekend! Just wanted to say massive thank you for sorting the new download pack out AsaP. Truly brilliant customer service to pull a late night to not only sort, but personally reply to customers. Your service is as good as your product, which is something seldom seen these days. Keep up the good work – your bundles are brilliant. Thanks Chris, that’s amazing feedback, and truly appreciated by us all here :). I’m dropping you an email now, as I’d love to see how we further help with your design work. That’s so awesome to hear Mateusz :). We’ve been trying to listen extra hard to the DC community, and that’s great that this bundle resonated with you. I’d absolutely love to see what you create with your new fonts. Hi Team DC, the desktop .otf files for Los Andes’ “Antartida Rounded Essential” light and light-italic seem to be broken in the current download package. Would you mind having a look and fixing them? Thanks! I’m glad I’m not the only one having this problem (though of course sorry it’s happening to you, too)! I’ve been troubleshooting my computer and tried an online font “repair” site to no avail. DC — All the other fonts installed easily and without problem, as always, including the other Antartida Rounded Essential fonts. I keep getting an error thrown by these two fonts in particular. Thank you for looking into this! I am so sorry that you are having an issue with this font! We have rectified this now and the file has been updated on the deal page but i have sent you over a link with the update which should make things easier for you :). I hope it didnt inconvenience you too much Mish! Thanks so much for letting us know about this! I am so sorry for any inconvenience this may have caused! Rest assured though, we have fixed this now and there is an update available with the working fonts :). However i have also popped you an email with the link to the updated files as well to make it easier! Seriously guys…my wardrobe is so out-of -date, but I’ve got the best collection of fonts…(sigh…and happy sigh). Thank you, this is fantastic! My download is missing a few fonts: bellwethers, glamour brush, and quincy. Will you provide a way to download these? Thanks so much for contacting us about this. We cannot apologise enough for this mishap Randi and thank you for bringing this to our attention. we had a few community members notify us about this as soon the deal went live so we got onto this immediately to rectify it. I have sent you an email with the link to the missing fonts and thank you again for your understanding about this! Wow, wow, wow. What a lovely surprise in my inbox! I knew as soon as I saw the preview images up the top that I’d be buying this bundle, particularly for the price. I’ve bought quite a few DesignCuts bundles now but I feel compelled to leave a comment this time because this value is just incredible, even if it were at your regular bundle price. It means a lot to me because I’m not a professional, I just play around in photoshop and illustrator for fun, mainly typography. It would be nice to sell a design one day (so the extended license is great peace of mind) but for now it’s just a creative outlet for me. So, it’s really great for me to have such good value…I couldn’t afford to buy these fonts at full price. I also live in Australia, and our dollar isn’t performing very well at the moment, so it’s nice to not balk at the conversion when I log in to paypal lol! (worked out to $20AUD this time, which is still amazing). I am in love with every single one of these fonts in their own way, and I didn’t have any of them previously, even though I’ve bought a couple of font bundles from various places. I already had the Magallanes regular family so adding the condensed version will be a great complement to it! 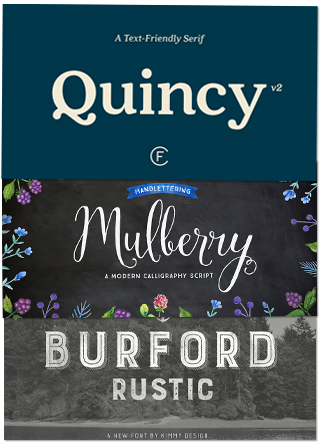 If I had to pick my favourites just from the previews (downloading the bundle as I type), I am loving Exquise FY (I have a thing for serif fonts in bold/black italics – so elegant and glamourous), Quincy, Botanica and Glamour Brush. But like I said, love them all. I’ve always admired your customer service too, DC team. Your fast and thorough response to the missing fonts (not a problem for me, but just reading the comments) and clear communication is commendable and gives me a lot of peace of mind. Keep up the awesome work…even if my bank account will suffer :p sorry, that was a long comment! Wow, just wow! Your comment has left me momentarily speechless (which never happens lol!) Thank you for such amazing feedback- we are honestly blown away by it! We are so pleased that you enjoyed the price change on this one as well- we know that a lot of our community are in Australia and Canada and the USD can be less than favourable for them so it is lovely to hear that this one didn’t cause the balk in Paypal! Also i love that you are in Oz Emily- what part are you? I had the pleasure of living in Melbourne for two years and i LOVE Australia! This bundle is awesome and really popular- Tom did a pretty sweet job of getting a good mix of fonts together with hopefully something to suit everyones tastes! I totally agree with you Emily- i find Exquise FY really glamourous- even the name has a touch of glamour about it lol! I would love to see what you create using your new fonts so please do feel free to share anything you create using your new bundle! Thanks so much for your kind words as well about our service- it is something we feel really strong about and we really like to be totally transparent about everything we are doing over here :). Thank you for commenting Emily- we really appreciate you taking the time to let us know your thoughts! From the entire team over here- YOU ROCK! Also – Can I use these fonts within a logo – even if the logo is comprised of only text and icon? Thanks for the comments and a big welcome from the entire team over here at DC! Please ask as many questions as you have as we were all new once and we are more than happy to help :). I have sent you an email which should help you out with your queries! I’m new to this.. can you integrate these fonts with Adobe (ie: Illustrator, photoshop etc)? I swear you guys know how to drag me back in after I’ve told myself I’m not buying anymore stuff from you :p.
Ha no containment necessary- join us in our regular new bundle happy dance! Jazz hands at the ready! We are so grateful for your purchase and continued support :). Please do let me know if there are any resources that you would particularly like to see in a future bundle and then you have a bonafide purchase excuse….lol! Please send me a link for the updated download. I am missing 4 fonts. Thanks so much for contacting us about this! I have sent you over an email with the link for the fonts- although we are only aware of the 3 missing fonts. Can you let me know which ones you are missing so i can get the 4th one over to you asap? Hey guys, you did it again! could you guys have a look and check all the families? Thanks so much for your comment! We are so happy that you are loving this bundle! Yet again, Tom worked his magic with putting the fonts together :). Thanks as well for the heads up on the missing fonts- we really appreciate you letting us know and this has been totally fixed now! I would love to see what you create using your fonts Fabio so please do feel free to share your work! Shoot, DesignCuts! You’ve done it again! A font bundle is exactly what I’d been hoping for – particularly a mix of fun calligraphic styles and more simple styles. I was already “drooling” over the beautiful styles, but once I saw Skipper – !! – I felt my heart leap! What a gorgeous selection you’ve provided us. I can picture using each and every font you’ve included, not to mention all the styles they come with! All for $15? You had me at “hello” (“15 quality font families”). I can’t wait to get designing. Thanks again! Before I just quote a heap of Jerry Maguire quotes at you, thank you so much for the amazing feedback- we are so happy to have caused heart leaps :). Your comment has made our own heart have a flutter! Please do send over anything that you create with your fonts as we would love to see what you create! A marvellous insta-buy! More quality*, fewer items, lower price? It’s as if you tailor-made this one to my demands. I hope this bundle pays off for you big time—so we’ll see more of its kind in the future. Thanks, Team DC. *OK, still room for improvement here (e.g. Quincy), but FIFTEEN DOLLARS makes this a no-brainer nontheless. Thanks for the amazing comment- we are so pleased that you love the bundle and the price :). We really listened to what our community wanted in future bundles and we are so glad that we delivered on this for you Jean! Quincy should be back up and running for you now but if you are having any problems please do let me know! I’m not able to complete my purchase. I get an error every time. It’s something about a valid zip code, which I have quadruple checked. I’d like to use a font on a project I’m about to turn in, hope you get this fixed soon, along with the other issues. Thanks so much for your comment! I have popped you an email about this which should get you back on track! This has now been rectified at our end so my sincere apologies for the inconvenience Donna! I already have a lot of these from other bundles. If I am going to make a fonts bundle, I’d do at least 50 of them. As for the number of fonts included, whilst we’re all about providing our community with the best value possible, we’re also focused on quality over quantity. These fonts are some of the most popular in the world, and to secure a 99% discount took some serious negotiating, founded on our very strong relationships with our design partners. With this bundle in particular, we wanted it to offer the best quality and versatility possible, whilst being at a very accessible price point for the DC community. We can certainly look into some larger font bundles for you guys too though :). Tom, I much prefer the quality over quantity approach. This is great, and even though I may only use a few of these….$15?! Can’t say no! I second that which “Steve Walker” stated, I mean, really; can’t complain about any part of this deal! Wow, thanks everyone for the awesome feedback! We are so pleased you are loving this bundle and Tom definitely outdid himself with the fonts in this one! We’re really sorry about these missing fonts Elisa, and are working flat out to get things fixed for you guys. I posted a video about this on our Facebook page (https://www.facebook.com/designcuts/videos/vb.564216880280200/838813249487227/?type=2&theater), and you should see the updated download link in your account within 30 minutes hopefully. Apologies for any inconvenience, and rest assured that all should be working well for you shortly. I bought it mostly for Glamour Brush but that doesn’t seem to be in the bundle. 🙁 This is my first purchase on design cuts so I’m not sure how it all works. Hopefully you guys see that some fonts are missing and make amends. Hi Crystal, Team DC usually are pretty quick in updating the bundle files if anything’s wrong. Check back later to see if the download files have been updated—it’ll say so accordingly on top of the page. Don’t worry: you’ll surely get your fonts soon. Hey Crystal, we’re super sorry about the missing font. I’ve just posted a video about this here: https://www.facebook.com/designcuts/videos/vb.564216880280200/838813249487227/?type=2&theater. We’re working hard to get things fixed/updated for you guys, and you should see an update in your account page shortly. You should be working with Glamour Brush in no time, and I promise it’s a beautiful font to use :). Please accept my apologies that your first bundle experience with us hasn’t been as perfect as we would like, but rest assured that everything will be back to working order very shortly, and we’re here for you if you need any help whatsoever using your new bundle items. just wanted to update and say thank you for quickly taking care of the missing fonts. And thank you for the freebie. Well done! You’re so welcome Crystal, and thanks for taking the time to comment :). I hope that you love working with all your new fonts, we’re loving them here in the DC headquarters! I’d spring for most of these at $15 on their own (especially Skipper! and I love how nice Uniform looks condensed!). So much good stuff here – just wow… This is a great mix of awesome goodies for an utterly stellar price. You guys are always going above and beyond to bring us the best – thank you x a jillion!! Haha, as always, we LOVE your comments Brigitta. 🙂 I’m very glad that we avoided a brain melting, but it’s awesome to hear you sounding so inspired by your new creative goodies! Uniform was definitely a favourite of mine, as I’d been looking for a classy new clean font that worked well for both headlines and body text. Thanks so so much for the lovely feedback, it means the world to us all here :). Just bought this mainly for Quincy font but it’s not there. They’ll fix the downloads so don’t worry! I already see a note on my account download page that says they are aware and fixing it. We’re truly sorry about the missing font Alin, we’re fixing this bundle download link for you as I type this. I also just posted an explanatory video on our Facebook page: https://www.facebook.com/designcuts/videos/vb.564216880280200/838813249487227/?type=2&theater. Thanks so much for your patience, and apologies for any inconvenience, I promise you’ll have the Quincy font files soon. Great to see that you’re answering everyone, that’s something you don’t see everyday. I appreciate that. We’ll just forget this ever happened. Looking forward to the next font bundle! Thanks Alin, we so appreciate the kind words and 5 star rating :). We’ve been working flat out this week to ensure that nobody goes ignored, and I’m just so glad that we could help you to get hold of your new fonts. Have a lovely weekend :). Having fun playing with these so far! Looks like 3 fonts are missing in the downloads currently, but I’m sure they’ll update. MISSING: bellwethers, glamour brush, and quincy. I’m also missing bellwethers, glamour brush, and quincy! We’re really sorry about the missing fonts Donna. This is being fixed for you guys right now, and the updated download should be in your account shortly. I’ve just posted some more details on our Facebook page, and we’ll be making a full announcement (as well as emailing all early buyers a personal update tonight/tomorrow): https://www.facebook.com/designcuts/videos/vb.564216880280200/838813249487227/?type=2&theater. Thanks for the heads up, and for your patience as we get this fixed. That’s fantastic to hear Donna! 🙂 Have a blast working with your new fonts, they’re a lot of fun to use. Thanks as always for your support, it means the world to us :). I have purchased 2 of these fonts on their own, so the 15$ price tag is an AMAZING deal! Thanks Eleftheria! We really wanted to give the DC community a particularly accessible, but extremely high quality font collection with this deal. We hope that the $15 price tag allows even more creatives to benefit from these awesome typefaces. This is fabulous! For $15 this is a total steal. Thank you so much. I was sort-of hoping that you would have a ‘second chance’ on buying the last font bundle you ran or the design bundle second to last, I was moving house at the time and was without internet so missed them both. Thanks so much for the incredible feedback Elisabeth :). We are actually working on bringing back our latest font bundle for you guys, but still need confirmation from one of the designers involved (we’re checking in with them regularly). Please rest assured that I’ll drop you an email as soon as it’s available again. I hope that you love working with your new fonts! Maybe it’s just me? Is anyone else not seeing it? Love this bundle. I had already spent a couple of hours looking for just the right font for a few projects this morning, checked out this bundle, and problems solved. Thank you! Hey Hannah, Emily, Elizabeth, David and Eduardo we’re so sorry about this. There are indeed some missing files, which Design Cutters have brought to our attention. We’re literally re-uploaded the corrected bundle now, and trying to figure out exactly what went wrong (as we had thoroughly checked things before launch). I’ve just posted an explanatory video on our Facebook page, and will do a formal announcement tomorrow to explain things further to the community: https://www.facebook.com/designcuts/videos/vb.564216880280200/838813249487227/?type=2&theater. Thank so much for your patience in the mean time, and rest assured that we should be back up with the missing fonts within 1 hour max we hope. Awesome customer service! Mistakes or glitches can happen…it’s part of life. It’s all in how you respond that makes the difference. Thanks Donna, that means a lot :). We were so humbled by the community response to this bundle fix, you guys really made our week! I hope that you love working with your new fonts. So excited about this deal. Quick question: My boss saw this deal, and started looking at some past deals. There is a font in a past deal she has had her eye on for a while for our redesign, and she wanted to know if you ever repeat products in future deals? Hey Kathryn, we’re so happy to hear that you’re excited about this deal! I’ll drop you an email about our past deals, but we do occasionally re-run them due to popular demand, so hopefully we can find a way to make your boss happy :). Working in the corporate world, I often find myself wanting fonts that aren’t industry standards, rather I want fonts that steer away from the typical path JUST ENOUGH to be fun yet professionally enticing. Magallanes Condensed completely sold me on this bundle. I’m sure I’ll find a use for other fonts like Uniform in other situations as well. Hey Gustavo, thanks for the wonderful feedback. Magallanes was a personal favourite of mine too. For corporate work, Uniform also has a great character to it, and definitely falls into the camp of ‘professionally enticing’, which I agree, is crucial to keeping corporate work interesting! We hope you have a blast working with these :). OMG! I was about to buy one of this fonts yesterday and now I find this wonderful surprise in my inbox! Thank you for this amazing deal!!! You’re so welcome Soco, we hope that you love working with your new fonts! 🙂 Thanks for the amazing feedback. I have several of these font families from other bundles—are there any extra font files/extra glyphs within them (such as Buford or True North) that were not included in their previous bundles? I’m not sure if it is what you currently have, but the Burford and True North in this bundle are the distressed versions of each font (Rustic and Textured). Hey Miriam, True North and Burford are actually totally new fonts, as they are the textured and rustic versions (previously, we featured the clean versions). The glyphs should be the same as the clean versions, but these new version of either font are so fantastic to use, we just had to include them in this latest collection :). Hey Donna! Thanks, that’s so great to hear :). The textured and rustic versions of True North and Burford are hugely popular in their own right, and are a lot of fun to work with. Bellwethers and Aura Blue look like they were MADE for invitation design, and I’m sure you’ll have a blast working with them. We definitely tried to offer true variety in this bundle, and I’m so glad to hear that you’re feeling so inspired by your new fonts :). Glamour Script is really amazing! Its kind of combination of paint and chalk effect which making it more unique. A really great deal once again from your website. Thanks so much Saqib, we really appreciate the kind words! Cindy’s work is always stellar, and Glamour Script is a beautiful brush font to work with. We’d love to see how you integrate it into your creative projects :). I can believe I have lost this deal!!!! nooooooo!!!! is it going to be again? please, tell me yes!!!!! I have just sent you an email over about this :). I am afraid that this bundle has now expired but i have added you to the master list for it. however i have popped you over some suggestions that may help with your project! I’d have purchased the Antartida font for $15 alone, so the rest feel like freebies. Thanks for doing a cheaper bundle, yet keeping the quality high. Thanks so much for the wonderful feedback Haydn, we’re so glad that you’re enjoying your new fonts. Antartida is indeed a fantastic font, and so versatile to work with! 🙂 I hope that you enjoy the rest of this collection too. Ive bene searching high and low and finally came across the fonts I love! Where can I purchase these? Will the deal ever come back? I’m so sorry, but this deal is now well and truly finished, so I won’t be able to set you up with this. However, sometimes we do re-run an older deal as a special bonus, in conjunction with a new deal. The best way to ensure that you don’t miss a deal is to join our free newsletter, by signing up at http://www.designcuts.com. I’ve gone ahead and added you to the master list and I’ll be sure to drop you an email if this bundle is live again.